Often after holidays we do not only have pleasant memories but also sad souvenirs – sun spots. Actually, their formation determines the skin phototype, some diseases and medications. However, to a large extent, we are responsible for their formation, when we sunbathe in the sun or in a tanning bed and forget about proper care. Sun spots may persist for a long time. And every woman, because it is mainly woman’s problem, wants to have a flawless complexion. If you’ve already been struggling with this unaesthetic problem, you want to get rid of it as soon as possible. With shallow discoloration household methods can be of help. Deeper and larger spots can be effectively and quickly removed by using only the help of a specialist who will select the appropriate treatment. 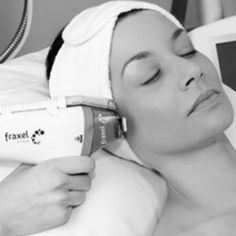 Fractional Laser is a safe and painless rejuvenating treatment. 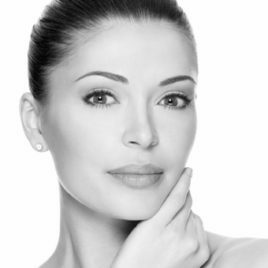 The treatment results in a clear face lift, and the skin becomes visibly tighter, smoother and more radiant. 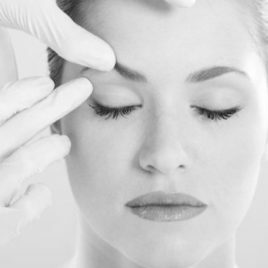 Treatment, which results in a clear skin rejuvenation, reducing wrinkles and visible face lift. Treatment with laser is safe. The treatment allows you to get rid of pigmented spots and discoloration quickly and very effectively. In 90% of cases the lesions are removed completely with natural skin recovery and its colour alignment.